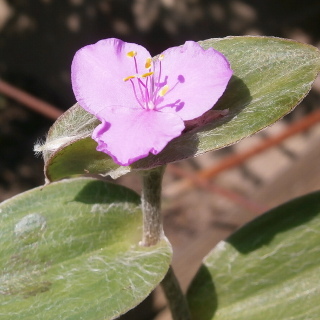 Purple heart is almost purple plant: leaves, stems. 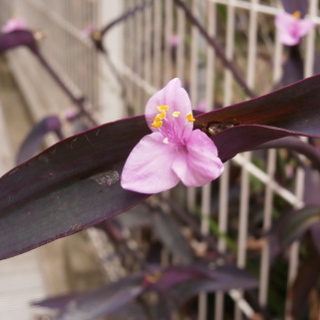 The flower blooms pink. 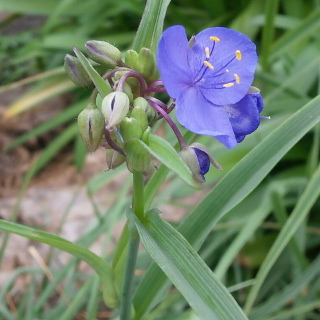 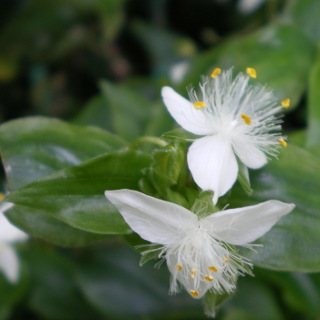 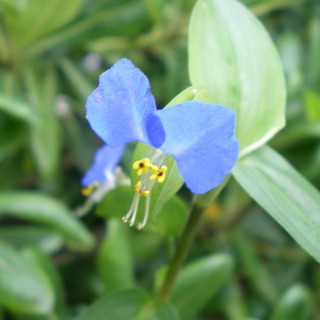 It is also called Wandering jew, purple secretia, purple queen and Murasaki Goten in Japanese.